Every working person needs to have lunch during the break in the afternoon and the amount of Tiffin boxes in use is equal to the total working force in our Country. A worker earning very little to someone earning very high uses Tiffin boxes. This is one reason why employer loves to give Tiffin boxes as gifts to their employees. It can be single container, 2 containers or even 3 with water bottle and a bag to make it easy for the people to carry their food. Mumbai has created famous Dabbawalas due to need of home made lunch for the masses who prefers to have home food over the street food. Even where food is arranged by the employers because of taste and food preference it has been seen that employees carry their Tiffin to ensure that the particular items they enjoy is carried from home. From tiny tots to senior citizens working or away from home during afternoon needs the Tiffin boxes. Looking at the needs one has the choice of leak proof lid covers with electric plug points to ensure hot food and even bags which ensures that food remains hot for specified hours. China is a powerhouse when it comes to manufacturing and because of the whole world going to them for manufactured items they have got the scale and price. Since the developed Countries source from China they have the design, quality and price to impress the Indian market too. 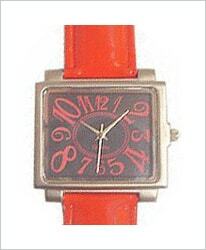 The advantage is that ready stocks can be kept which can be branded as per the client’s logo and delivered in no time. The challenge is once the stocks get over then you need to wait for the time lag to get it again. Another challenge is that very rarely the items are repeated which creates the challenge that when customer is ready with the requirement at that time the supplies have dried up. Best solution is to check up with the current availability before finalizing the item so that there are no surprises once you have short listed and the item is out of stock. Another challenge is the items comes in mixed colors and when a client insist on a particular color of Imported Items then it becomes another big challenge as segregation of a particular color creates its own challenge. But the choice and finishing with price delights the recipient. Here another challenge is to go with regular suppliers as quality parameters are not uniform and you should not be caught with a non food grade item already distributed to your employees which can create another big scandal for you. Better to go with tried and tested suppliers who understand the ‘reliability’ factor and not compromise on quality just to pick another order from you. Whenever your products connect well with the household items then stainless steel is the product of mass choice. Whether for the liquor industry i.e. 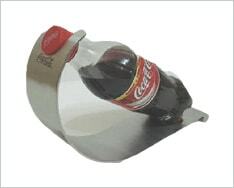 napkins holder, ice tray, peanut bowls, salt & pepper, bottle openers, jugs or for fmcg industry i.e. glasses, spoons, steel coasters, serving trays etc. wins hands down. Run a scheme of stainless steel dinner set and see how your product flies off the shelf in no time. And every time you run it gives you dividend because the appetite for stainless steel items is unlimited. You can create a bar set, golf set, dinner set, spoons and forks set to excite the recipient. Even stationery table top gift sets for office including dust bin as complete set is a big hit. Tiffin boxes, steel coffee mugs, container sets, stirrer, thongs, cocktail shakers with branding impresses the ambience at a bar, club and restaurants. You can upgrade a product once you use steel for example a steel wall clock is more desired and appreciated by a receiver then a plastic wall clock. If you have the budget and taste then always better to go for steel than any other material as your promotional product. 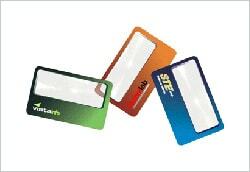 Promotional products for senior citizens include the credit card size pocket magnifying glass with your logo to help them read small prints. They can carry this light weight handy magnifying card in their wallet at all times and can easily read the small prints when challenged. You can also gift regular magnifying glass to doctors or adult over 40+ years and few of the items have led lights provision to read the books or notice the finer details on the skin or the object in focus. Please let us know your target audience and we will suggest a suitable product to excite them. China is very strong when it comes to machine made items due to scale and high investment in machineries but when it comes to handmade items then India is much more cost effective. 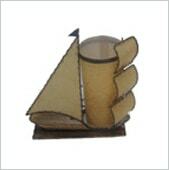 Wooden items are in demand as gifts due to low price and are eco friendly in nature. Laser engraving or printing comes out well on the wooden product and highlights the brand at the desk. 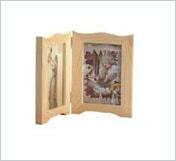 Frames, wine bottles, key chains, table tops, souvenirs, mementoes, trophies in wood are much in demand. Crystal Mementos, Glass, Metal, Acrylic, Wooden and Laser Finish Mementos. 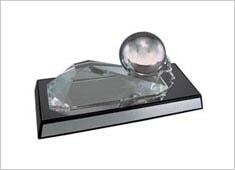 Mementoes in wood, metal, glass, crystal, acrylic, brass, gold and silver are much in demand to reward and recognize the performers and to encourage others to aim and strive for the recognition. After money recognition is the second most important motivating factor for the human beings. Depending on the budget one can design the memento to impress the recipient and the gathering which has come to witness the function. Mementoes can be designed keeping in mind the award criteria and can be connected with the contest to give it that much more importance.